How to delete all comments in a worksheet/workbook? 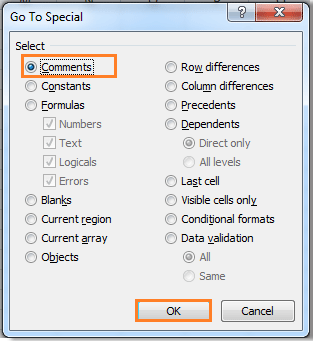 In general, most of users know how to remove one comment in Excel, but when you have a worksheet or workbook with multipel comments, do you know the way to mass remove all of the comments? Now I tell you some quick ways to remove all comments from a worksheet or a whole workbook. 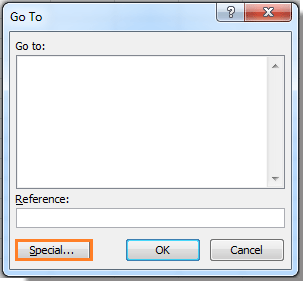 Just several clicks with Remove Characters utilty of Kutools for Excel, the special characters will be removed from cells at once. Click for free full-featured trial in 60 days! You can use shortcut to select all comments in a worksheet and then delete them. 1. Open the worksheet you want to remove all comments and press Ctrl + A to select the whole sheet. 2. Then right click to open context menu and click Delete Comment, and now, all the comments in current worksheet are removed. 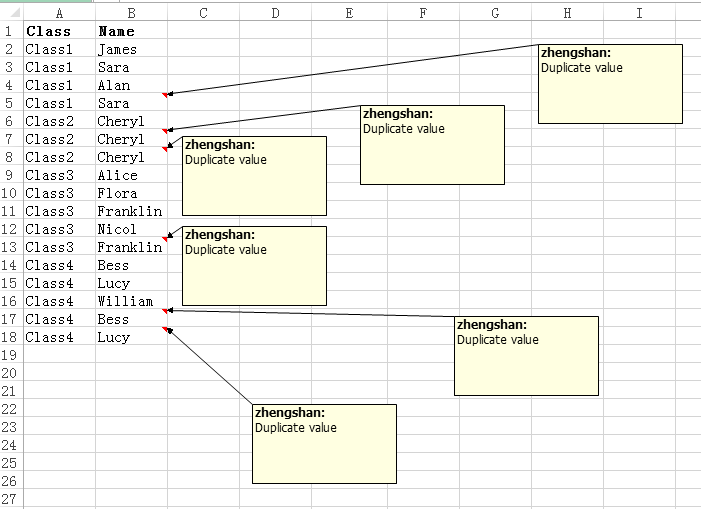 There is also VBA can help you to delete comments from a worksheet or a whole workbook. 1. Press Alt + F11 to display the Microsoft Visual Basic for Applications window. 2. In the window, click Insert > Module to show a new module window, then copy the following VBA code into the module window. 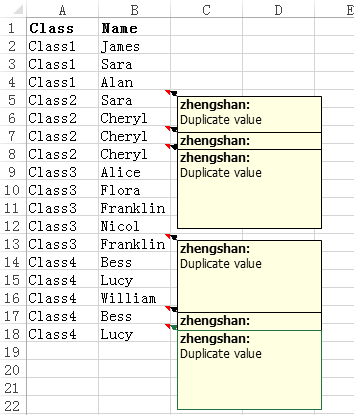 VBA: Delete comments from a worksheet. 3. Click Run button to run the code, and you can see all the comments are removed from the current worksheet or the whole workbook. When you have inserted multiple comments in workbook, and you may proberbly to drag the comments as below screenshot shown. 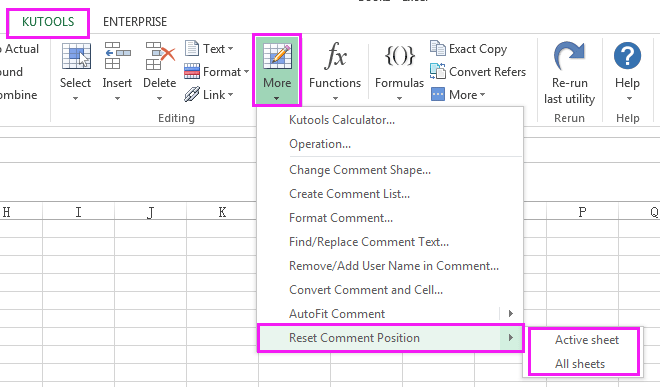 And now you want to reset the comments’ locations back, you can use Kutools for Excel’s Reset Comment Position to quickly reset them. Then choose Active sheet to reset comments position in active sheet, or All sheets to reset all comments position of the whole workbook. I've lost all my comments! They've just disappeared - I don't know how... Can I restore them? how do I delete only ONE comment? 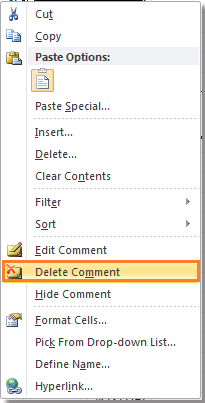 Delete one comment, just select the cell you want to delete its comment, right click to select Delete Comment from the context menu. Or to delete all comments on a page simply pick one cell with a comment, select delete comment, then highlight the whole page and press ctr+Y to repeat.